Name a sport, and Ryan has played it. Water polo and hockey were his main athletic interests in High School, and he still continues to play hockey 3 times a week. Fitness and athletics have played a major role in his life, so it is no surprise that he has chosen to pursue a career as a personal trainer. Ryan comes to us after a brief stint at LA Fitness, where his clients include both the young and the young at heart. Ryan has also been very active with the local YMCA, teaching several hockey and basketball camps, as well as youth sports camps. 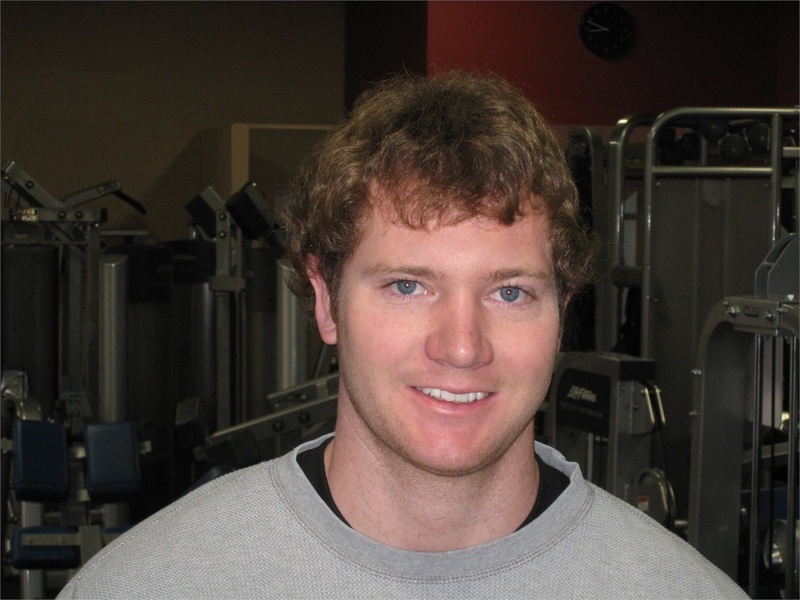 He enjoys working with pre-teens and teens, passing on his passion for fitness. His training and personal athletic experiences make him acutely aware of how important nutrition and fitness are for all age groups. Outside of the gym, Ryan takes full advantage of the California weather, pursuing both surfing and snowboarding. The main goal of any strength program should be to increase the level of performance as well as prevent injury. Golf fitness training involves strength principles and exercises that are beneficial to developing the muscles that allow the golfer to obtain and perform a correct set up, maintain posture throughout the swing, and perform the back swing, transition, downswing, and the follow through with efficiency and power. There are many movements that make up the golf swing. A customized strength training program will address all of the various muscle actions used in the swing, offering tremendous potential for swing improvement which ultimately improves performance capability and minimizes the risk of injury. A successful personal training program is all about commitment – on the part of the client as well as the trainer. Whether you are a weight loss client, trying to gain lean muscle, training for a specific sport, toning up and improving your nutrition, or trying to create the body of your dreams, I am committed to motivating, educating and supporting you with realistic goals and measurable results.